Two years and $25,000,000 later, the all new Matlacha drawbridge is now open. 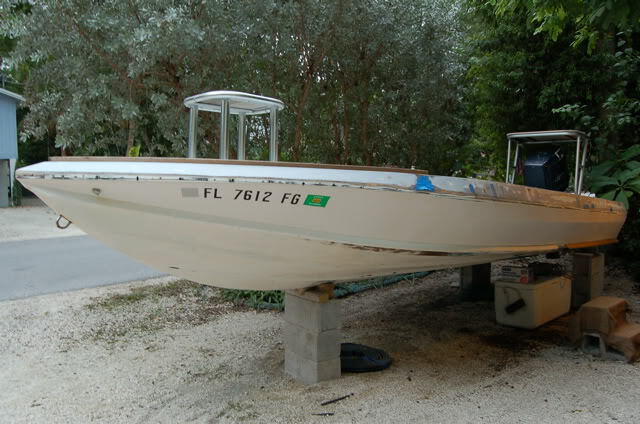 It was a daunting project from the start, attempting to build a structure just under 900 feet in length and over a body of water that plunged to depths of almost 17 feet. But the engineers were up to the task, and they're only four months and $7,000,000 over budget. The old bridge should be torn down by the spring and dropped into the Gulf as a new artificial reef. Never thought I'd see it finished. Here's the perfect excuse for a road trip to the Keys. You'll get to drive the all new Beavertail Stike, BT3 and Aeon 23 at the Hurricane Hole Marina in Key West and the famous Lorelei in Islamorada as well as meet fishing legend Stu Apte at both locations. Click on the Beavertail Skiffs events page to get full details and any updates. 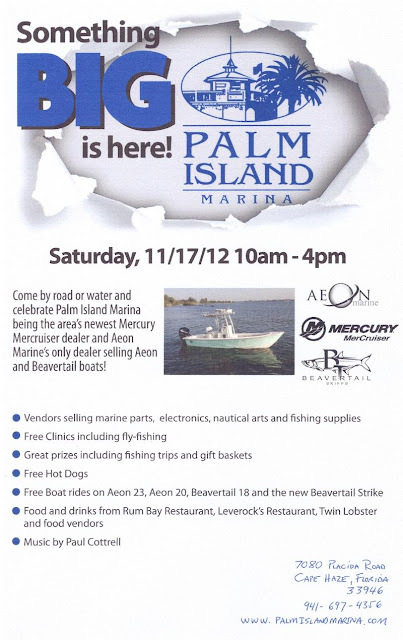 If you're in Southwest Florida and want to test drive all of the newest boats from Aeon Marine and Beavertail Skiffs, you'll get the chance this Saturday at the Palm Island Marina in Cape Haze. My buddy Capt. Mike Bartlett came up from Key West for the weekend and got to enjoy our morning temps in the low 50s. 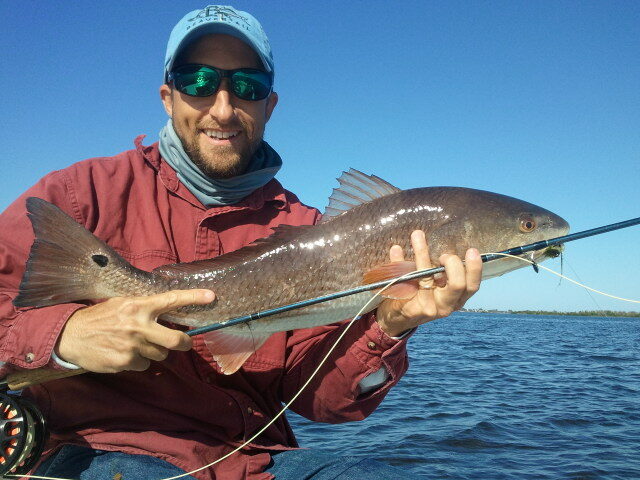 Fortunately the redfish were tailing all over the place right after sunrise. Mike was casting a deer hear slider and landed the 24 incher in the photos below just south of Jug Creek. 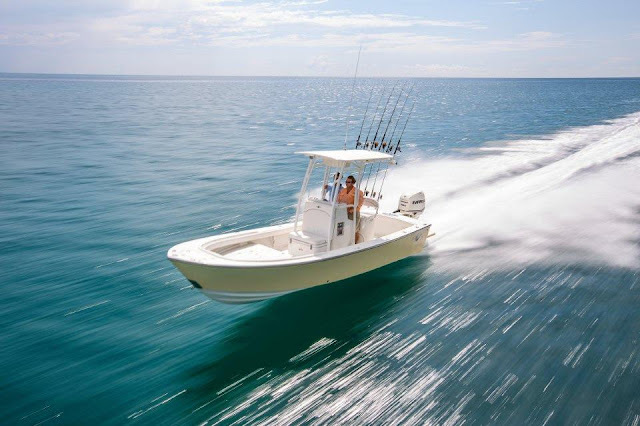 We shot out to Pine Island Sound this morning and found a lot of cruising fish in Orange Pass. The wind was honking out of the east so nailing these fish right on the head with a fly was no easy chore. Fortunately Mike is used to conditions like this almost every day in Key West and stuck and even nicer 26 inch red near Rat Key. The falling tides have been less than favorable in the mornings but we've still managed to pull in some decend fish. The reds are everywhere right now but getting them to eat can be a trick, especially when it's as calm as it has been all week. Cape Coral angler Jerry Pfeil landed the fat 27 incher in the top photo on a cloudy and slighly breeze day when we the fish weren't nearly as spooky. When the sun is shining I swear the reds can see our lures coming at them while they're still in the air. The 21 inch trout was caught by St. Pete angler Beau Stout near Pineland on Friday at the bottom of the tide. The bite was really slow for these guys but the redfish were tailing all over the place once the water started flowing in at noon. 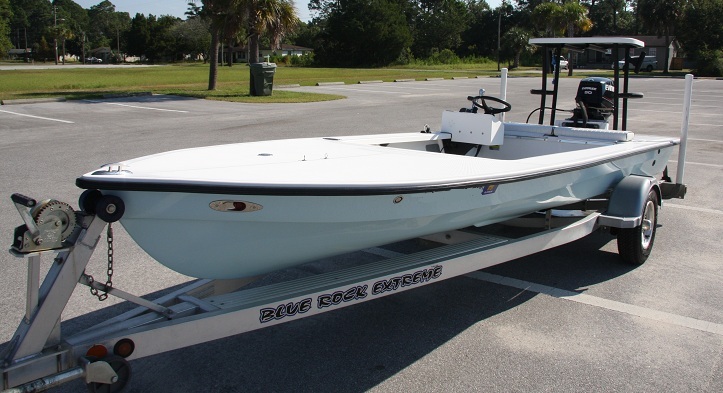 Starting next weekend we'll have some excellent incoming tides in the morning and we might see the best tailing redfish action of the year. Give me a call if you want to get after them. You don't see many of these for sale but this is a really nice Beavertail B2 at an excellent price. 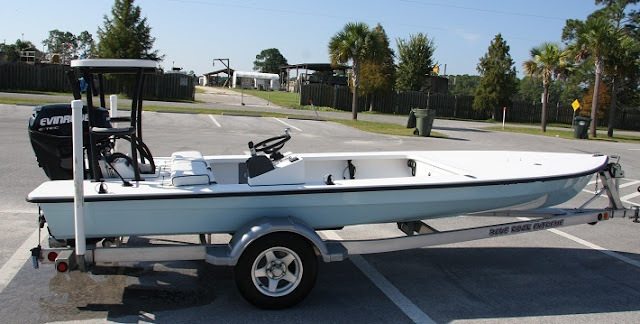 Click here for the link on Microskiff.com.